It’s almost a month since we launched the site, we’re just getting started. Let’s have a recap of the stories that made our fingers fly across the keyboard and made our hearts flutter. 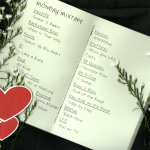 Monday Mixtape: Boy Bands from More than a Decade Ago – The boy band fever will never leave us. It has been years but we can still sing along to this songs like the teeny-bopper we once were. An Open Letter to the Best Friend I Once Had – Not all relationships last for a lifetime, but it doesn’t mean we can’t treasure them forever, right? Dress to Impress: A Job Interview Style Guide – It’s job interview season once again as a new batch of fresh graduates enter the market. Make sure that you come prepared! 7 Signs You Have a Job For Keeps – Being tired and overworked isn’t so bad when you’re in love with your job. 5 Things We Love and Hate About Commute in the Metro – It’s easy to hate riding public transpo in the metro, but you have to admit that there are still some good points (like spotting a cutie in the MRT). Exploring Ifugao: 5 Things to Do in Batad – Escape the sweltering Manila weather and opt for the cold one by heading North. There’s so much to see and do in Ifugao but there are five you must not miss. The World According to Mom – An ode to the women who make this world a whole lot better. This week has been extremely bipolar, thanks to Manila’s crazy weather. One minute you’re sweating bullets the next you’re drenched in rain water. But let’s hope this weekend will reign in more sunshine. What stories interest you the most? What else do you want to see in the website? P.S. Happy Mother’s Day (tomorrow) to all the mamas out there. We may be your brats, but we love you from the bottom of our sleep-deprived and coffee-induced hearts!